Infuse your favorite flavors! The infusion filter attaches to the inside of the 6-cup blending jar, making it easy to add a healthy and nutrient-rich flavor boost to your water. The infuser is the perfect addition to this premium 3-in-1 blender, which uses 900W of power* to pulverize ice and other tough ingredients to create delicious smoothies, shakes, and more. 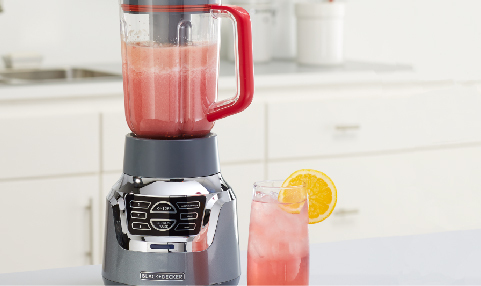 The QuadPro Blade works with the 6-cup BPA-free Tritan® blending jar and the 18-oz. BPA-free Tritan® blending jar, and it's versatile enough to create iced drinks, soups, purees, and even crumbs (bread, cookie, or cereal) to use in other recipes. 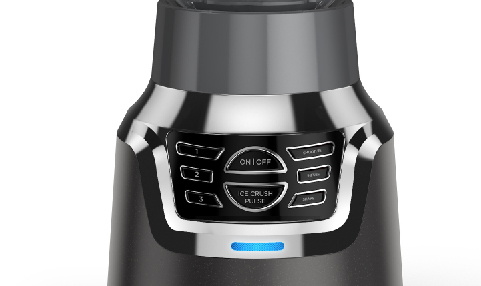 Use the intuitive controls for three speeds, three programs, and a pulse function to find the perfect consistency. Then enjoy easy, spill-free pouring with the hinged recloseable pour spout in the dual-opening lid. 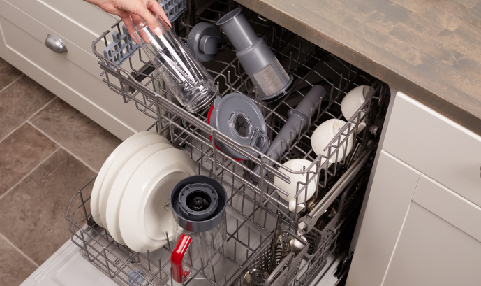 Plus, cleanup is easy with dishwasher-safe parts. *Peak performance refers to the maximum power recorded for 100ms during blending. Infuser Blender – Add Natural Flavors! 7.2 in. x 8 in. x 15.6 in. With this premium blending system, you get: (1) 6-cup BPA-free Tritan® blender jar with tamper; (2) 18-oz. BPA-free Tritan® personal blender jar; (3) infuser filter. Keep the lid attached while you pour thanks to the convenient hinged, recloseable pour spout. Plus, the hinged ingredient slot lets you add in liquids and solids during blending. Fill the infuser with your favorite fruits for a healthy dose of flavor in your drinking water. Choose from 3 blending speeds, 3 preprogrammed functions, and a pulse feature to find the perfect consistency. Infuser 3-In-1 Digital PowerCrush Blending System is rated 3.8 out of 5 by 36. Rated 5 out of 5 by Golfergal16 from Best blender I have ever owned I took a shot on this blender and am so happy I did. Best blender I have owned, and for a great price. I have been blending smoothies with frozen fruit in them daily for the lsat 6 months and have had no problems. And it's very quiet compared to other blenders I have owned. The infuser capability is very nice too. Rated 4 out of 5 by Bill04 from Overall good We are happy with this blender except the clear plastic pieces that covers the top of the lid openings broke. I can’t find where to get new ones on the site? Other than that, it is good. Rated 4 out of 5 by JamesE from Great blender. I love it except my center pieace of the lid broke any way to just order a replacement lid. Everything else has been working great baught it months ago. Still works. Rated 1 out of 5 by Drchefawesome from Good when it worked. Got it at target. Stopped working after a week. Worked well when it did, but obviously now, not so much. Rated 1 out of 5 by JESI from Nothing great about it since it won't work I bought this item on sale at Target a few weeks ago and it turned on for one second and now it doesn't work. Very dissatisfied with this product. Wish I never wanted my money. Is the pitcher glass or plastic? Why does my model 1350 blender appear to have power when I touch the &ldquo;on&rdquo; button, but only &ldquo;clicks&rdquo; when I touch any of the function buttons? It was a birthday gift in July.